Concord Library is currently featuring the work of artist Lilian Lai. 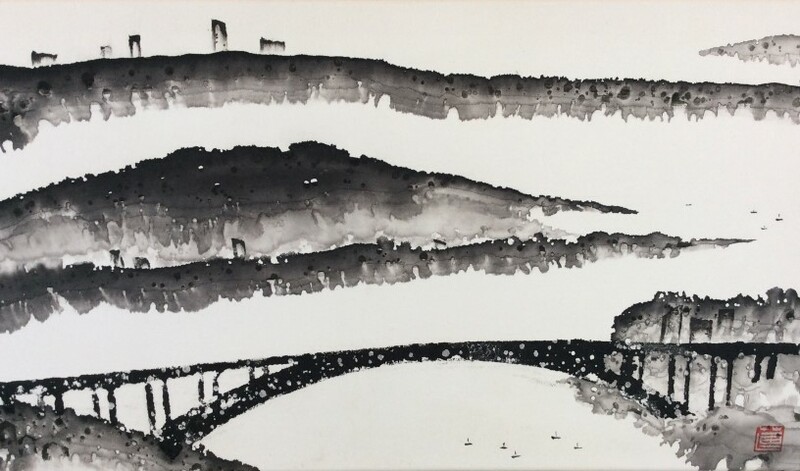 Included in the exhibition is a beautiful landscape featuring Gladesville Bridge. Lilian, who came from Malaysia to Sydney in 1988, is an active member of the Australian Chinese Painting Society and has exhibited widely, winning several awards for her work. The paintings are on display at Concord Library until 28 February, then at Five Dock Library until 20 March 2016. Lilian’s workshop for children at Five Dock Library can be seen on flickr.